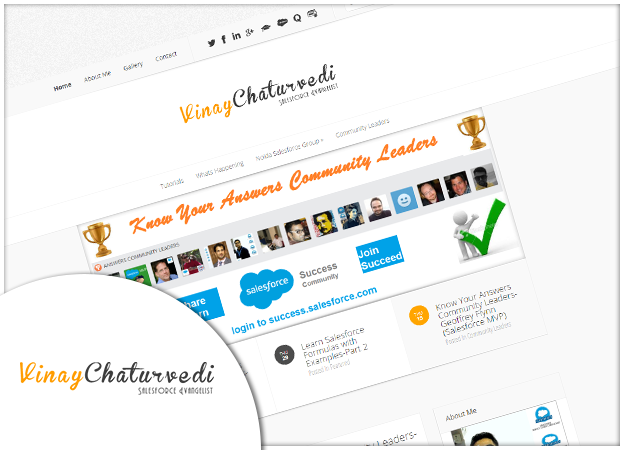 Vinaychaturvedi.com is a personal blog website of Vinay Chaturvedi for knowledge sharing, He’s a Salesforce evangelist, developer & promoter. Since 2011 He’s working with Salesforce and have experience working in Salesforce domain as an Administrator, Developer ,Consultant and Trainer. He also had prior working experience with Tata Consultancy Services and currently working with Fujitsu as a Salesforce Consultant.